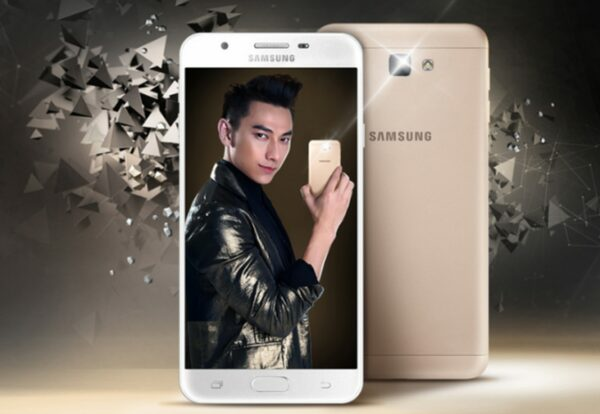 Samsung Galaxy J7 Prime has been launched and is now listed on the Samsung Vietnam Website. This smartphone is out with key specs and priced at VND 62,90,000. Samsung Galaxy J7 Prime releases with the design, hardware features and price in Vietnam. However, the images were leaked and from past few weeks it is doing rounds on the internet. Now, this smartphone has been listed on the Samsung Vietnam Website with full specifications. Back in August first week, Samsung came up with promotional videos of Note 7 which showcased features like Always On Display, iris scanner, S Pen, S Pen & Samsung Notes, UX and water and dust resistance. After the promotional video, Samsung relocated its brightness bar in this device. And, the shipping was done with the TouchWiz user interface. Samsung Galaxy Note 7 was launched in India finally on August 11 with 4GB of RAM and 64-bit octa-core processor. This smartphone runs on Android v6.0.1 Marshmallow. It is powered by the Octa-core 1.6GHz Cortex-A53 processor and Exynos 7870 Octa chipset. It has a IPS LCD touchscreen of 5.5-inch with a HD resolution of 1080 x 1920 pixels and featuring Corning Gorilla Glass 4. The body dimensions are 151.5 x 74.9 x 8.1 mm. It has a Dual-SIM with a GSM, HSPA and LTE support. Samsung Galaxy J7 Prime comes with an internal storage of 32GB and 3GB RAM. It has a rear camera of 13-megapixel and front camera of 8-megapixel. The camera also consists of features panorama, HDR, face detection, geo-tagging and LED flash. As far as connectivity is concerned, it supports WLAN, Wi-Fi 802.11 b/g/n, Wi-Fi Direct, Hotspot, Bluetooth v4.1 and GPS, USB v2.0. The Galaxy J7 Prime is backed up with Li-Ion 3300mAh battery. It offers three colors namely White, Black and also Gold and is priced at VND 62,90,000 (almost $280) for the customers in Vietnam.